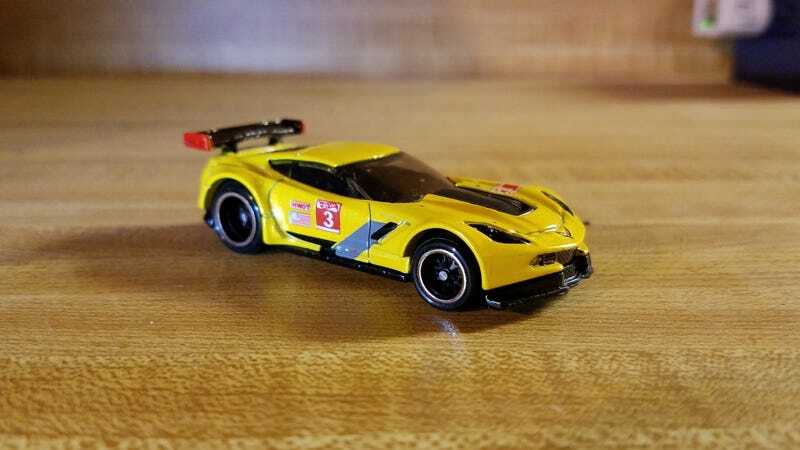 The way HW should have made the C7.R to begin with. I took the wheels and the corrected flat-bottom base from the Gran Turismo RE version and put it under the body from the first release (the one styled after the Le Mans car). I also blacked out the front grille, painted the spoiler (poorly), and the tail lights. I had some issues with my black paint pen on the spoiler, so you’ll see the texture is not very smooth, but oh well. It still looks better than the all yellow upturned chin version. Happy Monday!